Slithice is best used vs single-target nukers and typical 1v1 style carry heroes. Because of her images, Slithice can become virtually unstoppable relatively early in the game provided that there are no heroes that counter you. On the other hand, heroes with strong AoE nukes and stuns can make dominating with Slithice incredibly difficult. Melee; somewhat weak early on. Confuses enemies by summoning copies of Slithice, which can deal damage. Images take triple damage. Level 1: Creates one illusion which deals 15% damage. Level 2: Creates two illusions which deal 30% damage. Level 3: Creates three illusions which deal 30% damage. Level 4: Creates three illusions which deal 45% damage. Cooldown: 60 seconds; lasts 30 seconds. In combination with high stats, a critical skill, and one of the best disables in the game, Mirror Image is simply amazing. It can be used for anything from killing heroes to dodging spells and has almost perfect synergy with your other skills. A huge number of spells can be dodged using this skill, but stick too the easier ones unless you have perfect ping. Stormbolt, Chain Frost, and Wild Axes are good ones to start with. If you have great ping and good reactions you can dodge anything from Fissure to Meat Hook. This will interrupt Omnislash as well. Also keep in mind that MI dispels negative buffs like Battle Hunger and Curse of the Silent, so consider keeping it at level one for a little while vs aggressive Axe and Silencer players in your lane to conserve mana. One of the best uses of MI as a dispel is for Venomancer's Shadowstrike and Poison Nova combo. Over 1000 potential damage turns into a wasted ultimate. Images are also very useful for farming a lane while you take a fountain trip or tanking damage while you farm tough neutral camps at level 8 or 9. Images are also incredibly useful for scouting. Early on it's good to scout the river for runes and later you can use your images for running up a hill before your hero to make sure several opponents aren't waiting for you. The best use of scouting with images, however, is vs Techies. They can trigger Landmines for you and you can even get most players to detonate their Remote Mines on images. Even with all these tricks, the primary function of images is to boost your damage and make your harder to target. Most of the time you'll be using them to kill enemy heroes. 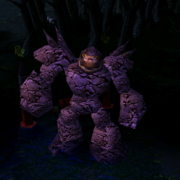 As powerful as images are, they are still one of the least understood aspects of dota. So below I've included just about everything you'll need to know about images. Every bonus from stats including damage, HP, armor, and even HP regeneration. All movespeed bonuses (Boots, Travels, Yasha). Life leech doesn't work against images but Bloodseeker's Bloodbath does. Some spells will cause images to instantly disappear such as Hex. Using images dispels most buffs or debuffs on Slithice. This includes Tangos and Flasks. Rupture, Maledict, Battle Hunger and Shadow Word are the some exceptions. When a hero targets you with a spell and you split into images before the casting animation starts, the spell will still hit the real Siren after you split. In other words, if someone is 1000 range away from you and casts Hex on you and you split, the hero will run within range and automatically Hex your real hero. Level 1: Lasts 2 seconds. Level 2: Lasts 3 seconds. Level 3: Lasts 4 seconds. Level 4: Lasts 5 seconds. Ensnare is one of the better disables in the game. It lasts 5 seconds, rivaled only by Fiend's Grip and Sprout, it does not disable the hero using it (Shackle, Fiend's Grip), and it goes through magic immunity (BKB, Rage). Best of all, it only costs 115 mana at level 4 and has only a 14 second cooldown at all levels. This is your ganking spell, your interrupt, and one of your escape spells. Early game this spell should be used to set up kills with your lane mate, to hold an enemy near your tower, to escape, and so save your ally. Later on you can use it to disrupt dangerous channeling spells like Freezing Field. Your net becomes most useful as a disable when facing heroes who will be immune to most disables. Some of the most notable would be a Juggernaut who can be Ensnared during Blade Fury, CM and Witch Doctor who may go BKB with their ultimates, and Nai'x with Rage. Blink, including the ability from Dagger, does not work while in net. Other movement spells like Waveform, Blinkstrike, Burrowstrike, Leap, and Timewalk will move the hero but it will be frozen for the duration of the original Ensnare. Swap, like other movement spells, will simple change the location where the Ensnared hero is imobilized. The hero will still be disabled for the full duration. Pugna's Decrepify, and Abbadon's shield and Burrowed time all remove Ensnare from a hero. Pugna cannot be Ensnared while Decrepified. Manta, Mirror Image, Phantasm, and Primal Split will escape Ensnare. Purge from Diffusal removes net no matter who casts it. Medusa’s Purge does not. Gives a chance to deal 1.5 times normal damage on an attack. Above average critical skill. Fourth highest in overall damage added, behind PA, Juggernaut, and Leoric, but has the highest chance to trigger of any critical. This is not worth getting early game since your total damage will only increase by 7.5/12.5/17.5/22.5 percent which is far less than you'll get from images. Later on though, Critical Strike is a very valuable skill because it passes over to your images. Since your images do a little less than 60% of your damage, Critical Strike will increase your overall damage output by quite a bit. Slithice sings a tempting song. Enemy units near her are put to sleep. Level 1: Lasts 6 seconds, 800 AoE. Level 3: Lasts 8 seconds, 1600 AoE. SoS is a very powerful ultimate and is incredibly frustrating for your opponents. Throughout most of the game this skill is generally used for saving your allies and avoiding ganks that couldn't have been avoided with Ensnare and/or images. At level 1 it has 800 range in all directions which should be all you need; no hero has more than 800 range and very, very few spells do. Later on, however, this SoS becomes an amazing barracks pushing spell. With images from Manta and Mirror Image, you alone can destroy a barracks in about 5 seconds and your opponents can't really do anything about it. After you reach levels 24 and 25, keep in mind that SoS has obscene range, level 3 being more than an entire screen. Use it when your opponents are still over 1000 range away from you to increase your chance to escape when it wears off. Refresher Orb, if you choose to get it, can give you 16 full seconds of sleep. That's enough to take out both barracks' and still get away alive. SoS is also very useful for countering strong team-battle spells like Overgrowth, Gaurdian Angel, Reverse Polarity, Black Hole, and several others. Furthermore, if your team is well coordinated, you can position yourself with SoS so that two or three of their heroes are put to sleep while you kill the others. SoS is also a great last ditch for killing a hero since it will give you enough time to surround a hero or let net fully cool down if you can't pull off a surrounded. As if SoS didn't have enough uses already, it can also be used offensively to kill a hero with BKB or Linken's Sphere during a push or a gank. Simply put all the other heroes to sleep, and then Ensnare the hero that wasn't affected and kill him. This can be done with Necronomicon, and either Ensnare or SoS. Simply disable a hero, move your images close to him, then quickly alternate between pressing "M" (move) and left clicking on the hero. Surrounding is most useful on heroes that you won't be able to kill with only 5 seconds of Ensnare, or when using SoS because you can't attack the hero while he is asleep. This may take some practice too pull off and often isn't needed, but occasionally it will net you a kill that you would have missed. If you ever played WC3 melee, it's the same as a Dreadlord/Sleep/Ghoul surround. SoS targets each enemy unit individually. This means that Linken's will block it. You can get around this by triggering Linken's with Purge, or simply using Ensnare. SoS does not work on invisible heroes or against BKB, Rage, or Repel. Heroes under fog of war will still be effected by SoS. Sleeping units cannot be attacked at all. The sleep effect will not transfer to an attacker like Bane Elemental's Nightmare does. 800 range is slightly more than a tower's range, 1200 is nearly a full screen, and 1600 is slightly more than a full screen. Spectre's Haunt images will continue to attack their target at melee range when disabled by SoS, but cannot move. Why Take Mirror Image At Level One? MI is taken at level one so you can scout for runes. In league games, where runes spawn before the creeps come out, take Ensnare instead since you can just scout them with your hero, or have an ally do it. In lower level games it doesn’t really matter all that much, but it’s worth taking MI at level one to scout the rune. Some people think it's necessary to take Ensnare at level one to avoid ganks, but honestly, Mirror Image will give you a better chance of surviving than a two second disable that doesn't stop heroes from casting spells. Why take Mirror Image Over Stats? Mirror Image is taken over stats early for several reasons. First of all, MI can be used to farm, scout, escape ganks and even dispel poison-type skills. More importantly, it allows you to creep neutrals effectively. This will help you to get Diffusal relatively early even when laning is extremely tough. Moreover, if you stay in your lane, images can be used to farm while your hero safely stays back at 600 range or so. Remember that MI can net you kills too, especially in low-mid level games. If you're laning against Venomancer, an Axe that uses Battle Hunger, or a Silencer who uses Curse, save the points you would normal put into Mirror Image until you reach level 8. Keeping Mirror Image at level 1 for a bit longer is helpful vs these heroes since it will dispel their duration-damage spells for only 85 mana. Consider saving your points against Viper too. Why Take SoS at Level Six? SoS can be taken at level 6 or level 9, depending on your preference. Mirror Image and Ensnare should generally be enough to get you out of ganks safely until level 9, but against organized teams that like to gank often, it's better to take it at level 6. Stats are maxed before SoS because keeping the mana cost low is more important than an extra second and some unnecessary range. SoS has 800 range at level 1, which is more than any hero’s attack range and more than the range of most spells. With Ensnare, Mirror Image and later Purge, one level of SoS should be plenty in most cases. If your team is good enough and coordinated enough though, maxing SoS earlier can be a good idea. I suggest taking level 2 SoS at level 14 and level 3 at 16 if you choose to max it. Pretty standard starting items. Both Tangos and Flasks work for regeneration, and Circlets and Branches are taken for stats. RoR is also a decent choice at the start because of Slithice's naturally high stats. It's all personal preference. Grab your items and head off to your lane. Any lane works, just try a lane partner that combos well with you (check best allies section). Pretty much anyone with a good stun and lane control will combo well with Slithice; THD, Lina, Leshrac and Pugna are some good examples. Feel free to solo in pubs, but don't try it vs better players. Being able to farm is more helpful than levels with Slithice. Scout the river for a rune with an image at the two minute mark since a double damage, invisibility, or haste rune can make for an easy first blood. Let your allies take the runes though since using Mirror Image dispels the effect. Regeneration is the only rune you should take since it can be used as a substitute for a fountain trip. Three Circlets should be a good enough boost to your stats to keep you alive through early game. With 370 movespeed, three good escape mechanisms and TP scrolls, Circlets should give you enough survivability to farm Diffusal. If you’re having trouble, feel free to turn them into Bracers. You should carry TP scrolls at all times because they will let you move around the map to gank, defend towers and save allies, and they are amazing for escaping ganks, especially once you get SoS. Last hit and deny like normal. You can use your illusions to help you farm when you have full mana, but it's not always the best idea. Illusions can do several things for you while farming. First off, they can absorb an attack or two when your enemy tries to harass you and figure out which is real. Second, they can be used to farm alone while your hero hangs back at 600 range or so, which can be very helpful in a difficult lane. Finally, your enemies will become used to seeing your images, so they won't immediately run when you use them. This makes it easier to get kills early on. However, using your illusions to farm means that you won't be able to use them if you get ganked or if you see an opportunity for a kill, so be careful. Although Slithice is a melee hero, she can still harass somewhat effectively. The easiest way to harass is simply sending your images at an enemy hero once you have a level 3 or 4 Mirror Image. This generally won't do that much damage, but it should force the hero far enough back that he will miss out on experience from the creeps. It also gives you a good 10 or 15 seconds of free farming. The second, and better, way to harass with Slithice is to Ensnare an enemy hero near your tower. This is hard vs a good player since it generally takes a full second for net to hit the hero plus whatever delay you have. Against less skilled players you can get kills relatively easily, but vs good players you'll have to anticipate their movements. The only way to pull off a good net against a skilled player is to net them as soon as you see them coming to take a pot shot at you. If you time it right, the tower will do quite a bit of damage to them and they'll be more careful when harassing you. Once you've boosted your stats a bit, you can start to creep neutral camps with your images. If there's a safe, empty lane, by all means farm it. But in general, neutrals will get you more gold since you can creep ancients at level 8 or 9. This also makes it harder for your enemies to anticipate when you'll come out of the woods and gank them, and will reduce your chances of being ganked. Farming a lane is definitely viable though, especially after you get SoS. At level 6, you can escape most ganks by simply using SoS and TPing out. If SoS is on cooldown, or if you don't have it yet, Ensnare the most dangerous hero, use Mirror Image, then run around a corner or into the woods and use a TP scroll. With proper use of TP scrolls, Slithice is one of the most difficult heroes to successfully gank. Your main goal during this stage of the game is to get your Diffusal Blade and support your allies when possible. If you get a few kills along the way, all the better. If you have a good ally, you should be able to kill even skilled players in your lane. Communicate with your ally and execute your combo. See the "Best Allies" section for heroes that combo well with Slithice. If you don't have a good lane partner, or if you're soloing, killing skilled players will be pretty hard. Your best bet is to hide in the forest and wait for a good opportunity to Ensnare and kill them. This is best done at level 9 since you'll have level 4 images and net. If they're good enough to be careful as soon as your gone, harass them with a set of level 4 images first, then try a quick net/image combo when they're hurt a little since you probably won't be able to kill them at full life without the element of surprise. If they have a disable, you'll have to use net before your images so they won't know which is real. If not, it's more effective to use Mirror Image first. When ganking other lanes, you can split into images when you're out of sight and leave one in your original lane. You can avoid getting a missing call this way which makes for easier ganking. Still, it's usually best to concentrate on farming early on. Nothing boosts the Siren's damage output like Diffusal Blade. Finishing it marks the end of the most difficult part of the game for you. Purge is very helpful because you can end your 5 second disable with another slow. Purge is incredibly versatile, allowing you to kill enemies, disrupt dangerous buffs like God's Strength, Insatiable Hunger and Repel, while also providing you with another decent escape mechanism. As good as Purge may be, it is not worth delaying Manta Style too much. The only time you should delay Manta until you've used all ten charges is vs Warlock's Infernal, and possibly vs Repel. Otherwise, Purge isn't important enough since you've already got a five second disable. If you're doing well, it's best to complete Diffusal before getting Wraith Bands because it adds more damage and gives you the ability to use Purge. This is the best time to turn your Circlets into Wraiths because completing them will give you a little more time to use Purge charges. At this point in the game your play should change from killing in between farming to farming in between kills. You should be able to kill most intelligence and agility heroes within 3-4 seconds and most strength heroes in a few more seconds if they don’t disable you with a stomp or other AoE stun. Be careful with your images though. Strong AoE can destroy them pretty quickly. Killing with Diffusal Blade is all about dealing as much damage as possible without being disabled. If you come from behind, you can usually split first, then initiate with Purge, and cast net when you get close. If you cast net first, while you're still far away, it is easy to see which image is real. Once you get within attacking range, it is much harder to tell where the net came from and it is unlikely that you'll be disabled. Purge's animation is harder to distinguish than Ensnare's so you can cast it at a range vs most players without being disabled. When facing very good players, or when you can't come from the side or from behind, you'll have to initiate with net, then split so you won't be disabled, and cast Purge up close right as net wears off. Make sure not to cast it early though since it will remove net. With SoS cooled down, you can gank groups of two heroes by killing one quickly and then escaping. You may even be able to kill both of them if they are especially weak or don't have AoE spells. Lone heroes are, of course, the best targets but you'll rarely find weak heroes wandering around alone outside of pubs. Gank with your allies whenever possible. Denying towers is a potentially game-changing aspect of DOTA, especially in higher level play. It can be quite difficult to get the last hit on a tower when enemy creeps and several enemy heroes are attacking it, and virtually impossible vs a hero like Pugna, who can finish a tower with Nether Blast well before a single hit can deny it. Fortunately, Slithice has a nearly foolproof method of denying towers. As soon as a tower's HP drops into deny range (10%), or a little before if there's a lot of creeps/heroes attacking it, use a scroll to teleport to the tower (unless you're already next to it). This will make the tower nearly invincible while you're TPing. As soon as you teleport in, cast SoS. You now have 6 seconds to deny the tower and get out. If you do this properly, you should almost always get the tower deny, and it's very easy to do after you've done it a few times. Denying a tower has a huge impact on the game, since the the gold a team recieves for killing a tower is equilvalent to the gold for killing Roshan. Make sure to take advantage of this, since Slithice is the best tower-denying hero in DOTA. SoS can also be used to prevent an enemy hero from denying a tower. Boots of Travel are the best filler item for the Siren between Diffusal and Manta because you'll be doing a lot of ganking after completing Diffusal if you're doing well, and Travels help tremendously in that area. Completing Travels will free up room for Vitality Booster since you won't have to carry TPs and will give you a little more time to use your Diffusal charges before completing Manta Style. Manta will nearly double your damage output again, giving your images twice as much feedback damage and a little more agility. Not to mention the fact that you'll have two more. If you're having a bit of trouble, you probably won't be able to gank effectively during mid game, especially by yourself. Without map control, Travels aren't nearly as useful, so you should just focus on completing Manta to prepare for late game. The game should be drawing to an end now and you should be pushing with your team as well as alone. Use your two newly found images, and your three old ones to drop towers quickly, escaping with SoS and a quick teleport out with BoTs. You can also simply run, since they're unlikely to have many heroes who can catch up to your 410 MS when you've got a 6 second head start. Especially vs AoE teams, it's good to use your images from Manta Style separately from Mirror Image. That way you still have some killing potential if one group of images is destroyed by a strong AoE spell. Try to wait for especially strong AoE spells to go off before you engage at all. If you aren't careless with your images, you should be able to keep them around almost indefinitely by alternating between Manta and Mirror Image. Large team pushes will be going on now which can be difficult for you if they have strong AoE combos. Your purpose in a team battle is to avoid as many AoE spells as possible and try kill one of their DPS heroes or a dangerous caster. SoS is also incredibly useful in big 5v5 battles. Use it to counter spells like Overgrowth and Guardian Angel or simply to let your whole team retreat if the battle isn't going your way. If you can coordinate decently with your allies, you can also use it to quickly kill one of their heroes and run. Most teams will retreat once the battle has stopped completely and it's 4v5. Now that it’s late into the game, it’s time to boost your survivability. Your stats will be starting to get good enough at this point in the game that keeping your images alive when AoE spells are going off is more than wishful thinking. Completing Heart is the best way to go about boosting your HP and your images’. Take Vitality Booster before Reaver because it gives more than half as much HP for a third of the price. Butterfly is taken next because the agility bonuses and evasion pass over to your images, making it the best choice for increasing your DPS. By now your images should be able to live though most AoE spells and in low-level games you should be just about unstoppable. Some heroes might still give you trouble, like Tiny, Axe, Centaur, Bloodseeker with Battlefury and Radiance, and a few others, but in most cases you'll just have to worry about large team battles. Althought you and your images will have a lot of HP, you can still be killed relatively easily if you're not careful in team fights. For the most part, team battles are relatively simple with Slithice. Just hang back until one team initiates the fight, then split into images and go in. If you can tell your team is losing badly, cast SoS and get out. The only complicated part of using Slithice is team battles is using SoS offensively. Especially if your team is relatively good, you can use SoS to sleep 3 or 4 of your opponents and kill the others. This is very hard to do normally because you'll have to judge SoS's AoE perfectly and the heroes that don't get hit will be over 800 range away from you, so it's not always a good idea. However, if one or two of your opponents have Linken's or BKB, this tactic is simply amazing. Just wait until the fight starts, cast SoS, kill any heroes that blocked it, and then kill the rest. As with most carry heroes, late game is the best time for you. Being able to vaporize most heroes in a few seconds is always nice, but you'll also be able to push towers and barracks'. If it's allowed in the game you're playing, backdoor relentlessly. With SoS, there is almost nothing your opponents can do to prevent your from destroying their buildings unless several players get Linken's or BKB. If you can't backdoor, the process is similar but you'll have to push a lane first which gives your enemies a lot more time to react. It will still be difficult for your opponents to keep their buildings though, especially if you play well and coordinate with your allies. (See replays for an example of this). Not quite as good as Heart or Butterfly because Linken's adds less than a third of the HP that Heart does, and less than half as much damage as Butterfly. It's nice to get after a Heart and a Butterfly, however, because it will give you enough mana to use Refresher Orb effectively. If you don't plan on getting Refresher eventually, I don't suggest getting Linken's. The spell block is nice, but it's less useful for Slithice than for other heroes because you'll generally have 2-4 images with you, which encourages players to find other targets for their single-target nukes. Good option as a final item for the Siren, assuming that your opponents don't all get Linken's Sphere or BKB to counter. Refresher is amazing for taking down raxes because of 16 second sleep and decent for defending too. It will refresh Manta, BoTs, Linkens, and all your skills. Keep in mind however, that you CANNOT spawn extra images with refresher. The old ones will disappear. If you're not planing on getting Refresher, I suggest filling your last two slots with Hearts. Decent, but the evasion won’t stack. Massing Butterflies is the best way to increase your DPS, but extra Hearts is usually better. Decent alternative to Diffusal/Manta if rushed. It's useful if there's too much AoE flying around to use your images early on, and good if you decide to play a support and gank role, rather than carry. If you do get book, I suggest taking Ensnare/Stats early since your images don't help as much without Diffusal. Not a good late-game item. Great bonuses, but the frost effect overrides Manta regardless of position in inventory. Case closed. I have seen several image-hero guides recommending this item. Early game Wraith Bands are better since three can give you 2 more agility than Yasha and costs less than 2/3 as much, not to mention 171 more HP and 117 mana. Later on, your money is better spent on Eaglehorn since it is part of the Butterfly, an amazing item for the Siren. There just simply isn't a good time in the game to get Yasha. Early on, Wraiths are much better, and after that Diffusal and Manta add so much more damage it's not even comparable. Once you reach late-game Butterfly is a much better choice. Overall, the 5% MS and IAS is not worth it since going for SnY is out of the question. Map control is simply more important than 35% IAS, especially for a hero like Slithice. If you want to push barracks' effectively or chase down other heroes with high MS, Boots of Travel are a must. Also, Slithice's images make up 60-70% of her damage output, and the IAS doesn't help them. Wraith Bands and Diffusal Blade are much better items for increasing your damage. The main problem with these items is that they don’t benefit your images at all, and your images make up almost 60% of your damage output. Once you get Manta, it's closer to 70%. Butterfly will add much, much more to your overall damage output and evasion is extremely helpful for your images. Siren's best allies are other strong disablers, and heroes that are capable of dealing a huge amount of damage to a stationary target. It's almost mandatory that your lane partner is ranged, and preferable that they offer some semblance of lane control. Siren's worst enemies are strong AoE casters, heroes who can escape Ensnare and heroes with feedback abilities. Heroes who fit into more than one of these catagories, such as Tiny and Centaur, are the most difficult to deal with. I've used siren about several times in LAN games and ppl just got frustrated, cursing @ saying wtf/cb or even %$#$$#&@! because killing her is just difficult, and u don't wanna fight her one on one. It's almost impossible that u're going to lose a game if she's present. simply game-owning hero. case closed. i've tried S and Y with naga siren and it just makes her stronger. its also good with butterfly and vlad. but if you're planning to harass with images dont get vlad. HoT is better than getting vladimirs offering i guess. my build is vanguard, threads, diffusal, manta and butterfly!! that makes naga IMBA! what is the suitable starting item for naga siren 1 vs 2?